When we think about the American Revolution, names like George Washington, John Adams, and Benjamin Franklin come to mind. Very few of us think of Rebecca Motte, patriot of the American Revolution and the namesake of Fort Motte in South Carolina. 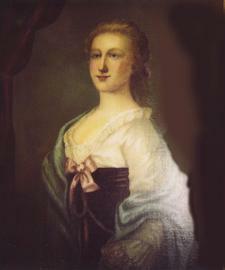 In 1758, Rebecca Brewton married a political plantation owner named Jacob Motte. They resided at the Fairfield Plantation just outside of Charleston, South Carolina on the Santee River and had seven children; two of their daughters married Revolutionary War veteran Thomas Pinckney (in succession, not at the same time). The entire Motte family supported the American Revolution, and even supplied food for the soldiers. Jacob Motte passed away in 1780, leaving Rebecca to take care of the family and property alone. She left shortly after for the safety of Mt. Joseph plantation (now Fort Motte) on the Congaree River, halfway to Columbia. Due to its strategic location, Mt. Joseph, like Motte’s Charleston residence earlier in the war, became a British post, occupied by over 175 British soldiers under Lt. Daniel McPherson. In 1781, General Francis “Swamp Fox” Marion and Lt. Col Henry Lee III of Virginia were sent to capture the British post at Mt. Joseph. General Marion ordered the British to surrender, but McPherson refused. Col. Lee then told Motte that he hoped to burn the house down in order to force the British out. 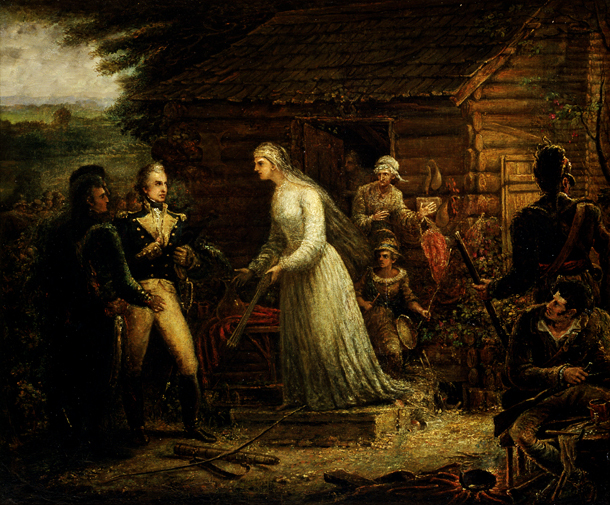 On May 12, 1781, Rebecca Motte not only went along with Lee’s plan, but offered up her own bow and arrows, saying to Lee, “If it were a palace, it should go.” The roof was quickly engulfed with flaming arrows, and the British surrendered immediately. The fire was almost as quickly extinguished; Fort Motte remained intact until it was accidentally burned after the Revolution. A granite stone now marks the site. The Siege of Fort Motte (as it is now known) is depicted in an oil painting by John Blake White and is part of the Capitol’s Senate Art Collection. The arrows that Motte presented to Lee can be seen in the painting at her feet. She is shown directing Marion and Lee to burn her house down in order to stop the British.